Home >> My Home >> Buy Us a Coffee!! We are English teachers at a public high school in Nagoya, Japan. It is a challenge to continue developing and maintaining this website for free. If you have found our services useful and would like to support us by giving something back, buy us a coffee using the instructions below. 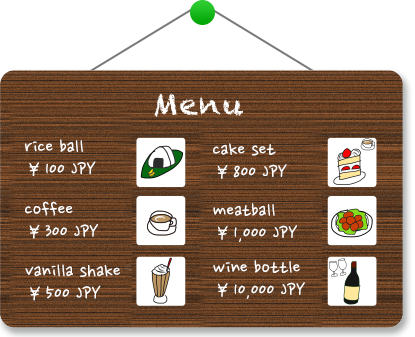 Please choose your payment method: credit card or bank transfer (Only in Japan). To use a credit card, please visit here. Your contribution will be securely processed by SPIKE. We don’t get to see your credit card or any other payment information. To make a bank transfer, select an item from the menu.